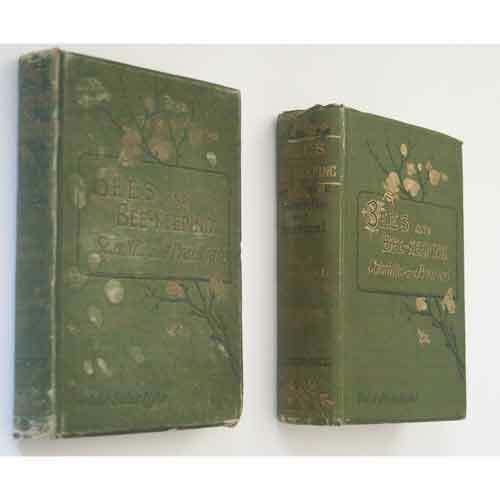 Bees and Bee-Keeping Scientific and Practical, Vol I & Vol II by F. Cheshire, 1st Ed, 1886. Hardback, Vol I 336 pages Vol II 652 pages. Condition: Good, slight foxing to end papers, clean throughout, corners bumped with wear as expected, damp stain to cover of Vol I.